O.P.M.S. 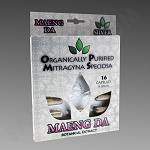 Silver Kratom are high quality crushed Kratom leaf. Authentic O.P.M.S. Silver Kratom Capsules, for anti counterfeiting measures, have their 3 leaf logo printed on each individual capsule in yellow ink. 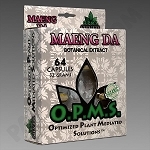 3 strains available; Thai, Maeng Da, and Malay Special Reserve. O.P.M.S. 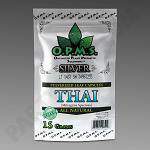 Silver Kratom are discounted by a percentage off the total dollar amount spent on all O.P.M.S. Silver Kratom purchased. 3% Discount given when $500 to $999 is spent on O.P.M.s. 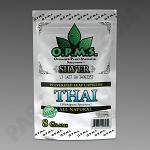 Silver Kratom. 6% Discount given when $1,000 to $2,499 is spent on O.P.M.s. Silver Kratom. 9% Discount given when $2,500 to $4,999 is spent on O.P.M.s. Silver Kratom. 12% Discount given when $5,000 to $9,999 is spent on O.P.M.s. Silver Kratom. 15% Discount given when spending over $10,000 on O.P.M.s. Silver Kratom.